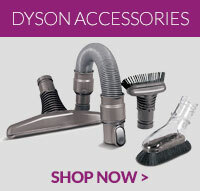 Genuine part to fit select models of Dyson DC40 vacuum cleaners .. This item is a genuine spare part for select Dyson vacuum cleaners .. Compatible replacement crevice tool to fit various models of Dyson vacuum cleaners .. Kit includes - 1 Extendable hose, 1 wide nozzle tool, 1 soft dusting brush,..